The Best Western Sunnybank Star Motel is within easy reach of both the M1 and M3 Freeways plus two of Queenslands largest shopping centres, 10 minutes to ANZ stadium, 15 minutes to Chandler Swimming Centre and 5 minutes to Garden City and Sunnybank Shopping Centres. This is because the Best Western Sunnybank Star Hotel is situated on the south side of Brisbane only 30 minutes from the Gold Coast theme park attractions. It offers the corporate and leisure traveller clean, comfortable accommodation in a convenient Brisbane location at very affordable discount rates. 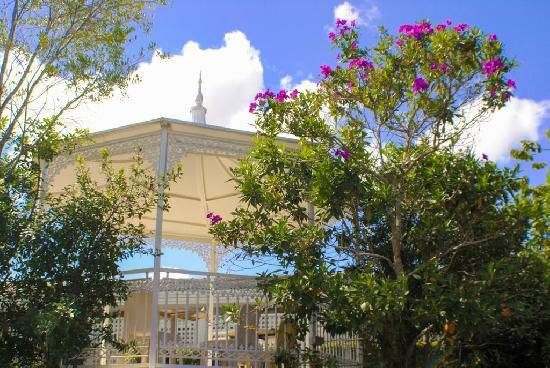 The Best Western Sunnybank Star Motel is within easy reach of all the major attractions that the city of Brisbane has to offer. This along with the many guest facilities like direct internet access, free car parking, guest laundry, restaurant, outdoor swimming pool and bbq is what makes the Best Western Sunnybank Star Motel such a great place to stay. The aim of the Best Western Sunnybank Star Motel Brisbane is to ensure that you enjoy your stay in a rooms that has been cleaned to the highest possible standard. The friendly staff will assist you and your family in any way possible to ensure that your stay in a memorable one. 2 Bedroom Apartment : Sleeps up to 6 guests on 1 Queen Bed + 1 Single Bed & 1 Bunk Bed. 2 Bedroom Apartment - 1 Q + 2s : Sleeps up to 4 guests on 1 Queen & 2 Singles Beds. Queen & 2 Singles Hotel Room : Sleeps up to 4 guests on 1 Queen Bed & 2 Single Beds. Queen & Single Hotel Room : Sleeps up to 3 guests on 1 Queen Bed & 1 Single Bed. Studio Apartment : Sleeps up to 5 guests on 1 Queen Bed, 1 Single Bed & 1 Bunk Beds.